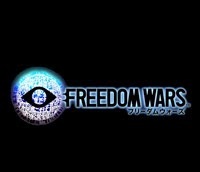 Freedom Wars is out in Japan! Check out this gameplay footage. SiliconEra posted an article on Freedom Wars' release in Japan and also a video showing different gameplay styles. I spotted several multiplayer modes including some search and rescue missions. See if you can interpret any other modes in here! So far, no word on a stateside release date. We'll keep you informed. What do you think? Could this be a killer app for the Vita?